2 Top Destinations from Phuket in One day. 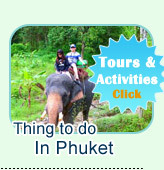 The special one day tour for anyone who has the short period holiday in Phuket. 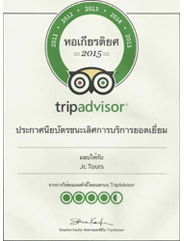 This trip visits high reputation place for 2 population destinations - Hong Island in Krabi and James Bond Island in Phang Nga province. Jc.Tour had set up this one day tour, start from the morning and come back in the afternoon. 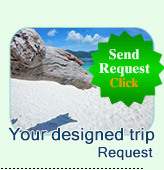 By this you can enjoy this day trip, even you have only 1 day holiday time. James Bond Island ...Phang Nga Hong Island...and the Floating Market are the signature places for the tour of Phang Nga Bay. Those places are included in this package already. The popular of Phang Nga Bay is in the world class after the movie James Bond 007 shooting in this beautiful area. Moreover, the place are complicatedly of many mysterious caves and mangrove.."Nice to discover." Krabi Hong Island is the most beautiful in Krabi Province. The bay is hidden by 3 small island mountains make the beach of Hong Island is very clear water and nice sandy beach all year. The many kinds of fishes, coral reef and other marine life can be easy found by simple snorkeling.